GET A CHEAP Debris ROLLOFF TODAY! Why Are We The Premier Rolloff Dumpster Company? Forget about blundering, at Easy Dumpster Rental we like to get straight to the point – saving you time and money while delivering the best customer service. Consistency is one of our best features and this will not change. 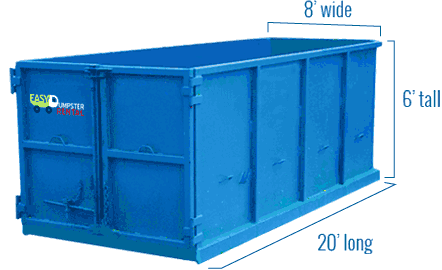 Easy to use dumpster conversion tool. Rapid delivery on rolloff dumpsters. Fast pickup once rental is completed. Loyal customers to prove our competence, see their testimonials here. 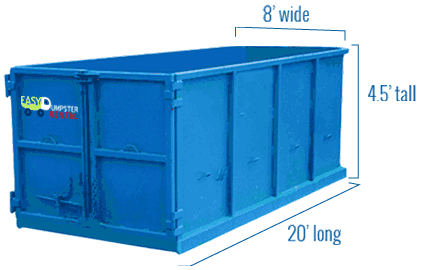 Rolloff dumpster rental selections include 10, 20, 30 and 40 yard bins. When you want to stay true to your budget while receiving timely and honest assistance, Easy Dumpster Rental is the go to the company. Low rates on all dumpster sizes. No hidden charges on our dumpster prices. 13 years of practicing fair pricing. Our solid footprint on the market allows us to offer the lowest price. Orlando may be the known as the city with the mouse tourist magnet, but there’s more to this town than theme parks and thrill rides. Sure, Orlando is nicknamed “The Theme Park Capital of the World” drawing over 50 million visitors each year, but it’s the tens of thousands of employees and support staff outside the parks that make it all possible.From the Orlando International Airport that provides the International conduit, to the hundreds of hotels, motels, restaurants, gift shops and water park workers that keep them fed, hydrated and entertained happily throughout their entire stay that makes the entire region the success that it is. Just as it is in the theater, it’s behind the scenes where the real work is done. Workers are constantly repairing and renovating properties to keep the luster and sheen up to expectation.Add to that all the residential construction and renovation that must be done to accommodate all the visitors that decide they’ll just stay forever and you’ve got some serious debris to be removed. 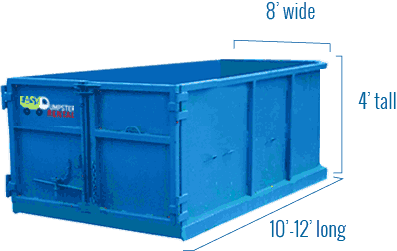 If you find yourself among this latter group, roll up your sleeves and contact Easy Dumpster Rental services for a fast quote that is guaranteed to be the best. 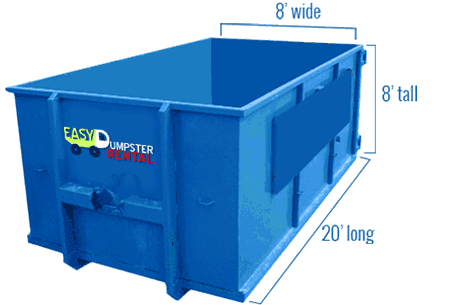 Easy Dumpster Rental has the Greater Orlando area covered with the preeminent, friendliest, fastest, and most reliable roll off service on the Internet.